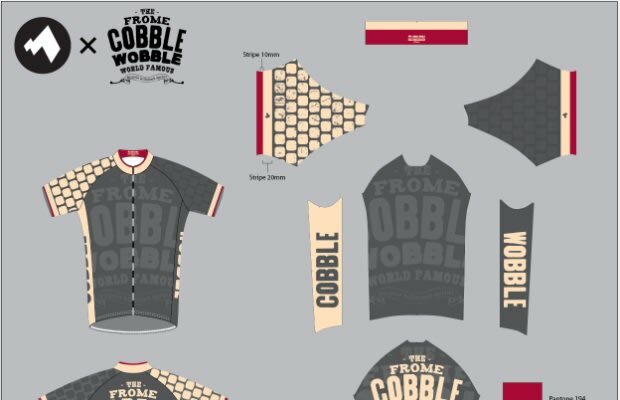 The Frome Cobble Wobble is an individually-timed bicycle hill climb sprint in Frome, Somerset, England. Started in 2009, the 179 yard course celebrates the stage 5 of the 2009 Tour of Britain, which started in Frome. Bicycle jersey company Milltag has designed this jersey to celebrate the world famous hill climb sprint, now in it&apos;s third year. Visit their site to pre-order yours now.